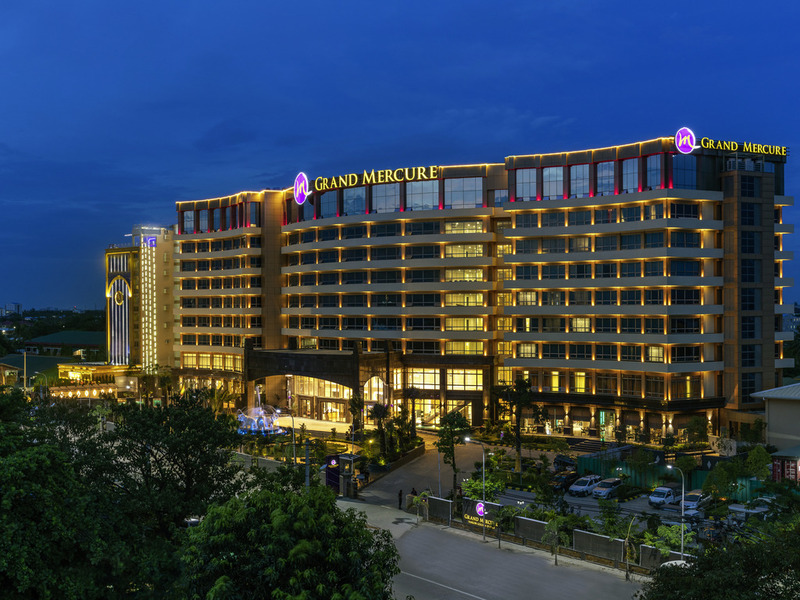 Grand Mercure Yangon Golden Empire is located in the Dagon Industrial Zone. It features a unique interior and meeting facilities. Its guest rooms feature stylish, functional design with amenities. Our friendly team is always on standby to meet your needs. The hotel is located on the Corner of Myittar and Thakhin Phoe Hla Gyi Road, South Okkalapa Township, Yangon, Myanmar. Whether herre for business or leisure, this 1st Grand Mercure Yangon Gloden Empire with unique designed rooms will let you enjoy premium convenience and confort while you discover the sights of Yangon. Exclusively, extra touches to each room designed by Myanmar Artist's hand painted according to the theme. The restaurant offers innovative cusine to satisfy all your carvings. Be it something sweet, savoury or both. Set in a tranquil environment, the G Pool Bar is surrounded by lush, tropical gardens. It serves a wide variety of beverages as well as light snacks.